"October had tremendous possibility. The summer's oppressive heat was a distant memory, and the golden leaves promised a world full of beautiful adventures. They made me believe in miracles." 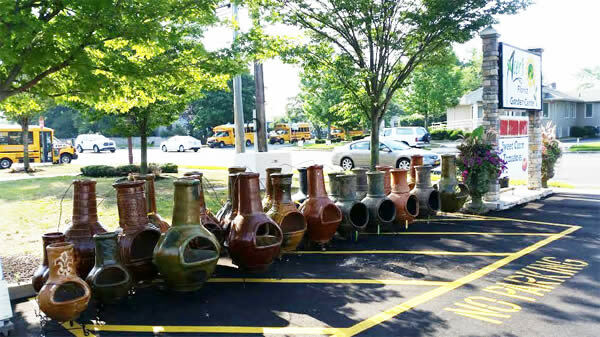 Long Island's largest selection of chimineas! Keep the chill of autumn at bay while your family and friends are over to play! 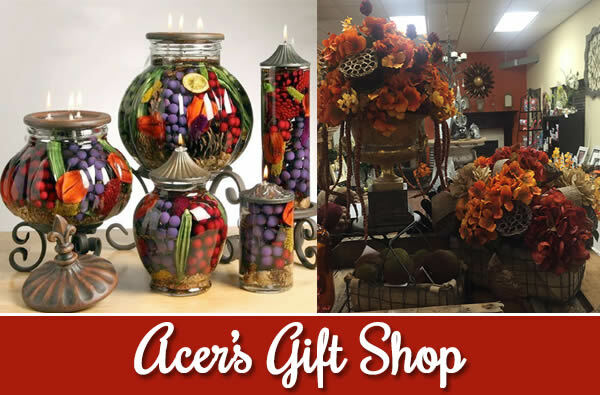 The Gift Shop at Acer's carries a Full Range of Unique Gifts, including Custom Silk Arrangements, Lifetime Candles, and Gardening Accessories. We also have a Full Line of Seasonal Decor that will have your home radiating the spirit of Autumn. Anyone who thinks pansies are delicate little flowers is mistaken. They are some of the toughest flowers out there, able to take a beating all winter and then come out swinging with the first crack of spring. Pansies are hybrids in the viola family. They're short-lived perennials, but most people treat them as annuals. It's best to plant them in the fall, so they can establish themselves and put out some flowers before winter arrives. 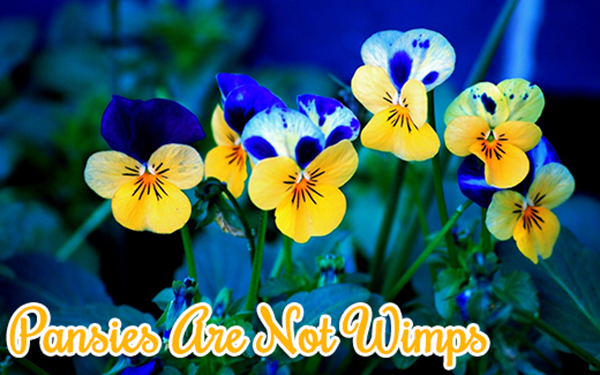 Many times, pansies will flower through the winter, but a harsh winter will batter them. They can look pretty sad during the coldest of times, but they're just saving their energy, and at the first sign of warm weather they will come back to life. They will grow well through the spring, and eventually burn out with the heat of summer. There are many varieties of pansies, with varying size, color, and hardiness. Small to medium sized varieties tend to overwinter better, but some of the newer large varieties are much hardier than they used to be. It's best to consult an expert in our garden center to find the best match for your garden. As far as planting goes, there are a few things to consider. You'll want to make sure there is good drainage, but that the soil will retain some moisture. If your bed tends to be soggy, adding some sand might be a good idea. A layer of mulch on top of the soil will help retain moisture and insulate the roots. It also helps to consider where the sun is during the winter, which is to the south. If you wish to plant pansies for the winter along the north side of your house, give them some room, so they have a chance to get a little sunlight. If you want to get really creative, you can plant your pansies on top of spring flowering bulbs, leaving you a nice, multicolored display when spring comes around. You can also plant different varieties of pansies together to mix up the colors, or plant large swaths of the same variety for block of vibrant color in the spring. Plant them 6-8" apart to give them some room to grow, and remove spent flowers to encourage new ones. Enjoy! 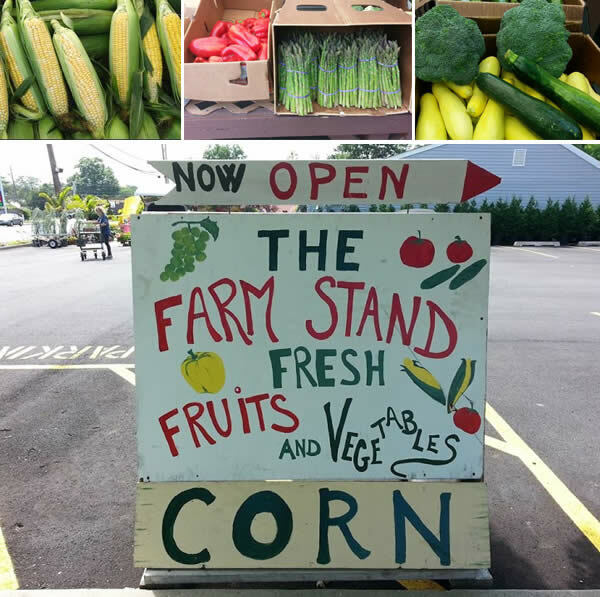 No matter where you live, the growing season is never long enough. In the North, the season can be as short as 90 days - barely enough time to ripen tomatoes or melons. In the South, drought and intense heat often limit gardening activity to the spring and fall months. The good news is that by using a few simple season-extending techniques and plant protection devices, you can shield your plants from extremes of weather and stretch your gardening season. Extending your growing season requires protecting your plants from wind, frost, cold soil, heat, and too much sun. If the plants in your garden must battle the wind, they will end up using most of their energy simply to survive, rather than developing strong roots systems and putting on healthy growth. A permanent solution, which may be a worthwhile investment if you live in a windy spot, is to enclose your garden. You can build a wood fence, plant some shrubs, or put up windbreak netting. Creating dead calm is not the goal. Your objective is to reduce the wind speed. If there's a prevailing wind direction, a fence on that side of the garden may be all that is needed. If a permanent fence or hedge requires more of a time or financial commitment than you are ready to make, you can try covering your plants with a polypropylene garden fabric. Seedlings grown under the shelter of garden fabric will often put on twice as much growth as control plants. If you protect your garden over the winter with a thick layer of mulch, be sure to pull the mulch off the planting beds in early spring to expose the soil to the sun. Building raised beds is another way to warm the soil more quickly. Covering cold spring soil with black plastic can boost soil temperature by several degrees. The plastic can be left on all season, or removed prior to planting. Combining black plastic mulch with a clear, slitted plastic tunnel will raise soil temperatures enough to get melons and other heat-lovers off to a fast start. In the fall, polypropylene fabrics will retain heat and keep soil temperatures several degrees warmer. This can give heat-loving crops such as peppers, okra, and tomatoes a couple of extra weeks to ripen. Hot weather can be just as challenging as cold weather. Young plants can be stressed and stunted by too much direct sunlight, and once the weather gets hot and soil temperatures rise, getting seeds to germinate becomes very difficult. Cool-weather plants, such as most salad greens, turn bitter and go to seed in hot weather. Shade netting can be laid right over wire hoops or a movable wooden frame: reducing the amount of sun reaching the plants can keep soil temperatures cooler and reduce moisture loss from the foliage. A piece of wood lath attached to a frame can serve the same purpose. For most gardeners, frost is a limiting factor in both spring and fall. One 32° night will usually put an end to all but the hardiest of garden crops. Sheets, blankets, and cardboard boxes are a good emergency solution, but polypropylene row covers are far easier to handle and much more effective. These row covers are available in a variety of thicknesses, and some will protect to temperatures as low as 25° F. Cold frames and portable greenhouse structures can offer even greater cold protection, allowing you to extend your harvest season of cold-weather crops right through the winter. Groundcovers are low-growing plants that spread quickly to form a dense cover. While they add beauty to the landscape, they can also solve many planting problems in difficult sites. Unlike grass, most groundcovers cannot be walked on, but they more than make up for lack of foot traffic tolerance with a much lower water requirement. Many are compatible planted between shrubs, providing contrast for a classic finished landscape look. Groundcovers are used most frequently for erosion control on steep banks or slopes. In addition, many shade-loving varieties can grow under trees where grass would thin out or die. When planted under trees, groundcovers reduce mower damage to the base of the tree. Since most groundcovers require less sunlight, moisture and nutrients than grass, they create less competition with trees and shrubs. Groundcovers also can survive where tree roots grow close to the surface and prevent grass from growing. The groundcover you select depends on the area where it will be grown. Some groundcover plants prefer shade. Others thrive in full sun. Some prefer moist soil, while others need dry or well-drained soil. To work well as groundcovers, plants have to be tough, durable, and relatively fast-growing, but not invasive. All groundcovers are perennial and most are evergreen. Because groundcovers live for many years in the same spot, it is worth the effort to prepare the soil well before you plant them. 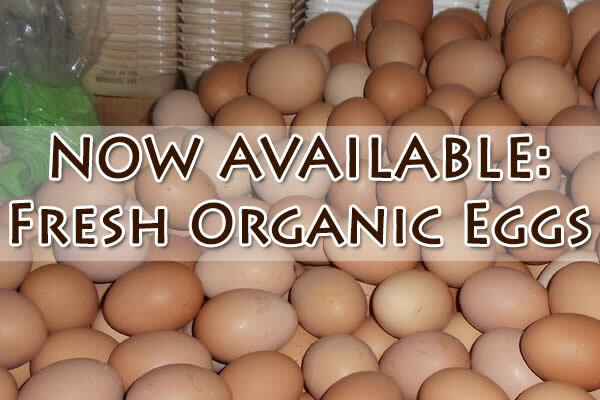 This allows plants to establish good root systems. Work the soil to a depth of six inches and add a two-inch layer of organic amendment to improve drainage and water-holding capacity in soils. Then apply a starter fertilizer to aid in root development. Most groundcovers can be planted at any time of the year. However, fall planting takes advantage of lower temperatures and natural rainfall. Watering is reduced and plants establish a stronger root system before summer. Space the plants according to their size, the immediate effect desired, and their rate of growth and habit. If individual plants are spaced too far apart, weeding can be a problem and the time required for complete coverage can be quite long. On the other hand, planting too closely will force the plants to compete as they grow into maturity. We recommend spacing plants so the groundcover areas will be completely covered by the end of the second growing season. A staggered row-planting pattern usually will result in the quickest cover of the planting bed. All groundcover will benefit from a two-inch layer of mulch, to help retain moisture and keep roots protected until they become established. Mulch, of course, also aids in weed control. We stock a great selection of ground cover and invite you to come in and discover the multitude of choices available for your garden. Our staff of nursery professionals will be happy to guide you with all of your groundcover needs. In a covered saucepan, cook cauliflower in salted water for 10-12 minutes, drain. Melt butter in a medium saucepan, stir in flour, add milk and cook until mixture thickens. Add cheese and sour cream to sauce, stir until cheese melts. Combine with cauliflower and ham mixture and pour into a 2-quart casserole. Combine bread crumbs and butter. Sprinkle on top. Bake uncovered at 350 for 40 minutes or until hot and bubbly.